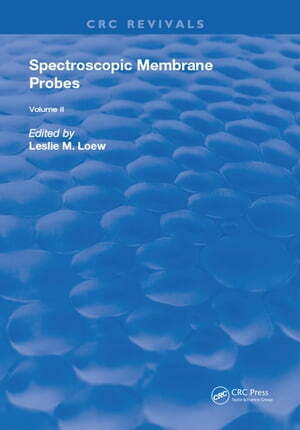 Collins Booksellers - Spectroscopic Membrane Probes by Leslie M. Loew, 9781351093699. Buy this book online. The optical spectra of molecular membrane probes can be interpreted terms of the structure, dynamics, and the physiological state of the membrane. The general picture we have of membranes and of the properties of the proteins imbedded in them, has, arguably, emerged directly from probe studies over the last 20 years. This work is designed to make these techniques accessible to a broad audience of cell biologist. The techniques discussed revolve primarily around the fluorescence of membrane probes, but applications of light absorption and Raman scattering are included. In addition to reviews of the major applications, most chapters include information on required apparatus, experimental design, data analysis, and potential pitfalls.